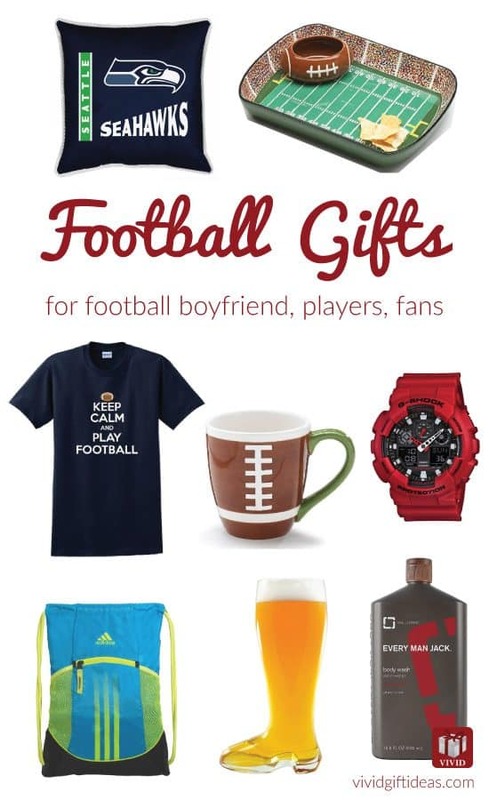 Don’t miss this gift guide if you have a boyfriend who loves football. No, not soccer — American football. 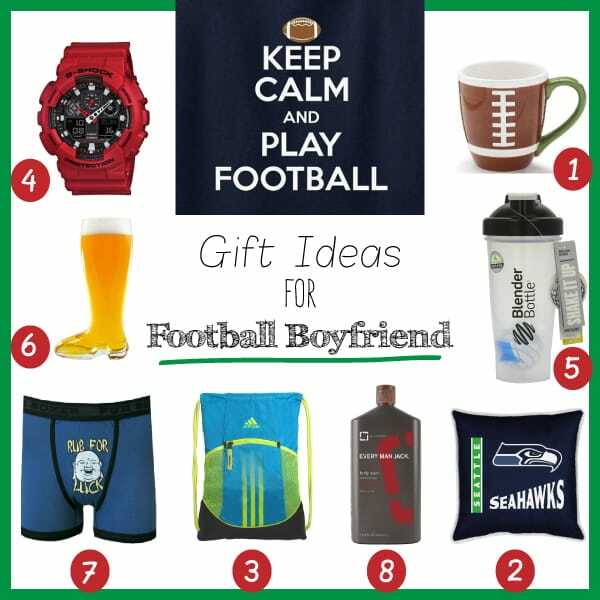 If you need to get him a gift based on football theme, check out our list below. 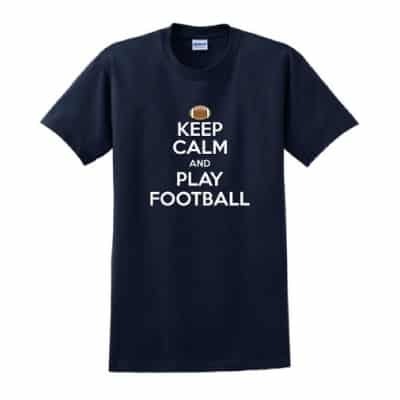 We have brought together 11 fantastic gift ideas that football players and football lovers will definitely appreciate. He will be so excited when he unwraps these gifts. 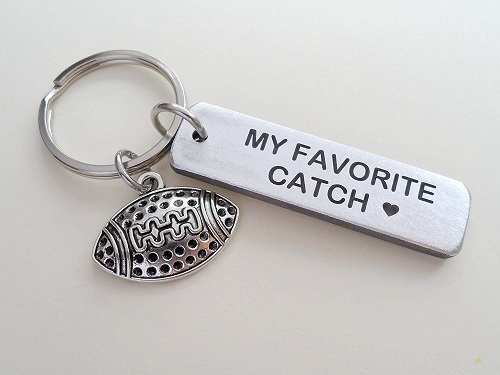 A cute keychain for the football boyfriend from his favorite catch — you. 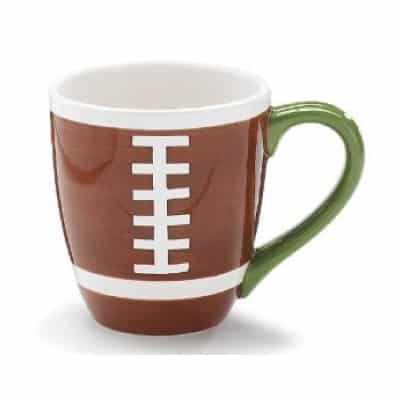 A nice quality football mug perfect for football players and fans. This mug is hand-painted and it is made of ceramic. 13-ounce capacity. Great for morning coffee. If you know who his favorite team is, you can get his favorite team’s merchandise like a hat, jersey, or jewelry. 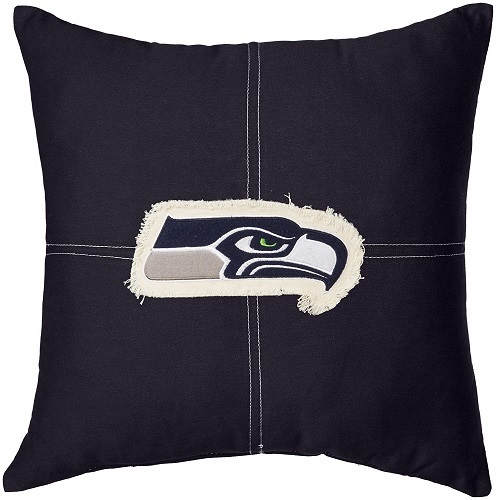 If you think he is a really big fan, then why not get him something that he can sleep with. Stuff like pillow, blanket and bed sheet are excellent! The best pair to wear when you are watching your favorite team playing. 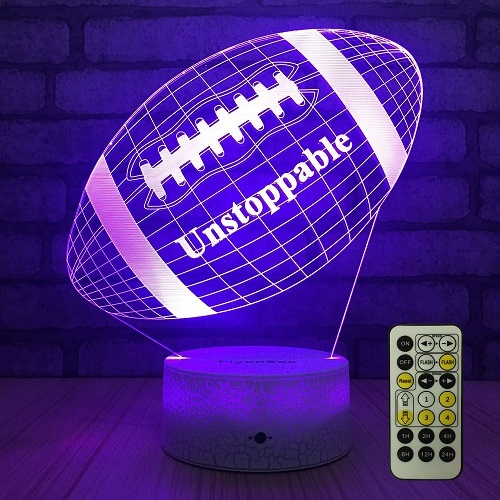 This decorative LED lamp has seven colors that you can control to match your taste. For the boyfriend who frequently goes for training. This sackpack is light and convenient to carry around. 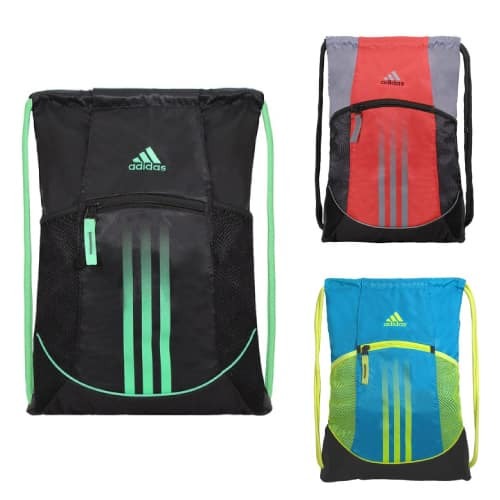 Features 1 main compartment, 1 zipper front pocket and 2 side mesh pockets that fit water bottle. Stylish, durable and spacious. Loved by many users. This stainless steel tumbler will become his favorite to-go mug. 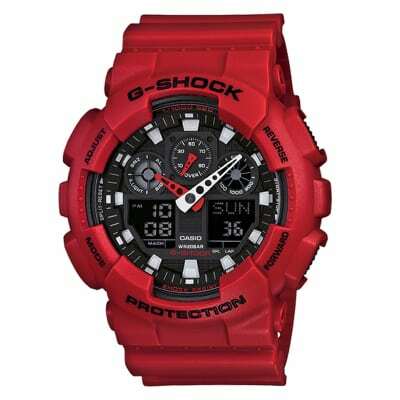 Shock resistant and waterproof digital sports watch for men. Sleek, modern and bold. This watch is in a vibrant red color. It symbolizes your passionate love for him. Features: stopwatch with speed indicator, countdown timer, daily alarm, auto LED light with afterglow, and more. Ideal for sporty guys with an active lifestyle. 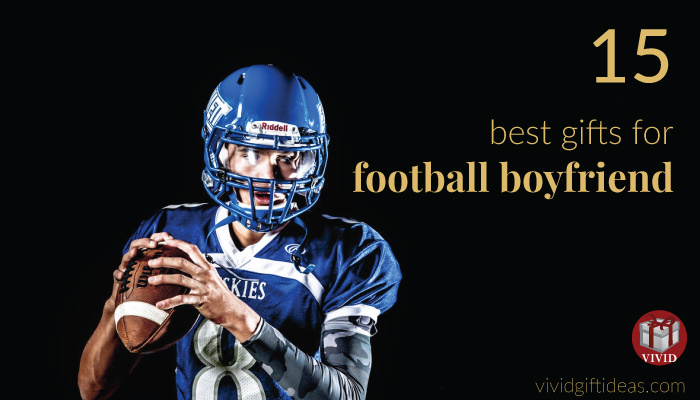 Another amazing gift for football boyfriend. This tee is made from 100% cotton. It is stylish and comfortable. 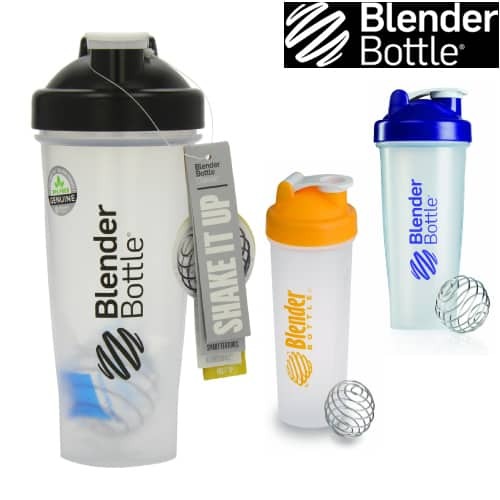 A wonderful to-go blender that blends any protein drinks, pancake, pudding, eggs and more. This bottle has the look of a normal water bottle from the outside, however, it comes with a powerful BlenderBall wire whisk inside. Mix smooth and clump-free drinks when you shake. Simply put in your ingredients + the ball and shake. No battery needed. Featured in popular magazines like Muscle & Fitness, Men’s Fitness, and Good Morning America. 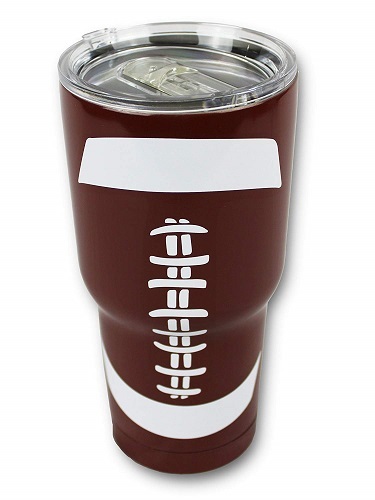 For the football boyfriend who enjoys beer. 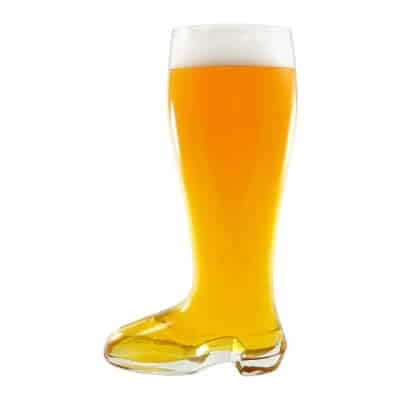 This unique beer glass in boot design is cool looking. 67-ounce capacity. Made from thick glass and has a stable base. 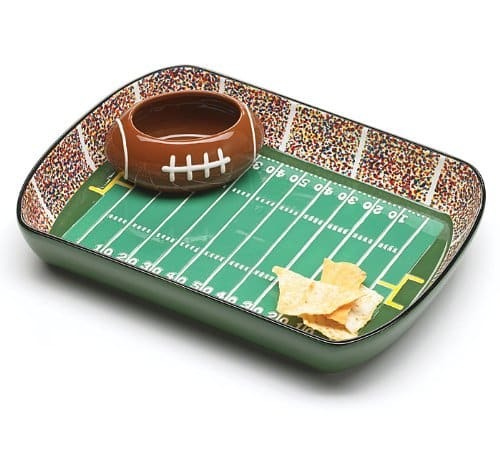 Unique serving platter that features a football field and a football dip bowl. A wonderful bowl to serve chips when watching his favorite games. If you are looking for something fun, get this boxer brief that printed with a hilarious graphic of a Laughing Buddha who says “rub for luck”. Comfy material. A funny boxer brief that will definitely thrill him. If you want to pamper him after his hard training in the field, you can get him some nice shampoo, body shampoo or cologne. Every Man Jack body wash is a decent choice. It cleans up dirt thoroughly without drying out the skin. It also has a pleasing woody scent that is loved by men. Leaving skin feel refreshed and moisturized after every wash.
A good quality compression workout top great for heavy workout and training. 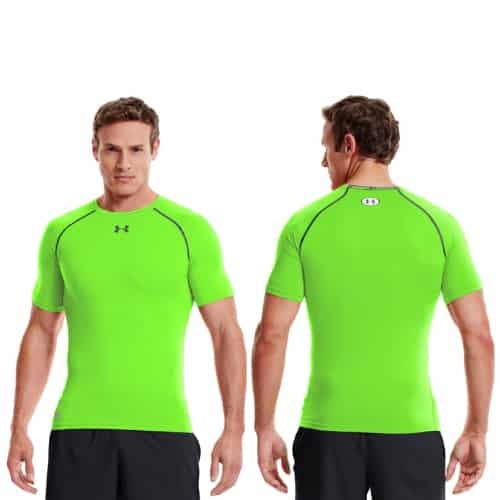 This shirt has quick drying and anti-odor technology. Smooth fabric, comfortable to wear. Keeps body shape looks awesome and odor-less. 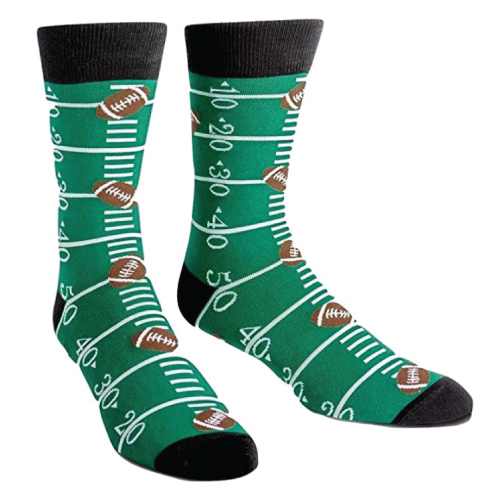 And that concludes our list of football gifts selected just for football-loving boyfriend. As much as couples like to stay close to each other, sometimes they have to move apart due to one reason or another. A healthy relationship can stand the test of a little extra distance. 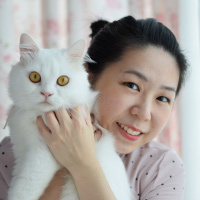 If you’re moving away, or your boyfriend is moving away for school or for work, be sure to check out this gift guide for a list of creative going away gift ideas for the boyfriend.